that children know and worship the Lord God as the Creator and Sustainer of all life, stand firmly on the Truth of scripture, and treasure God’s Word in their hearts and minds. to bring children to the place where they can meet Jesus, know Him as their personal Savior, and learn what it means to follow Him. to provide times for children to learn and experience God’s love and grace as well as provide opportunities for families to gather together for encouragement and fellowship. ***Be sure to check the church newsletter by going to publications on our website. 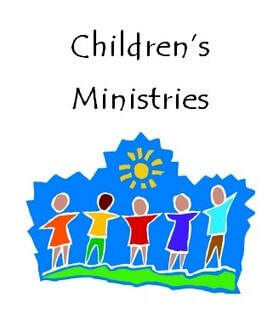 ​The children's ministries most current information is found in the newsletter. Go ahead, take a look at some of the fun we have in the various aspects of children's ministries! Friday, March 22nd from 6:00-8:30pm. Childcare IS provided to you at NO COST. There will be programming for your kids ages 0-6th grade. 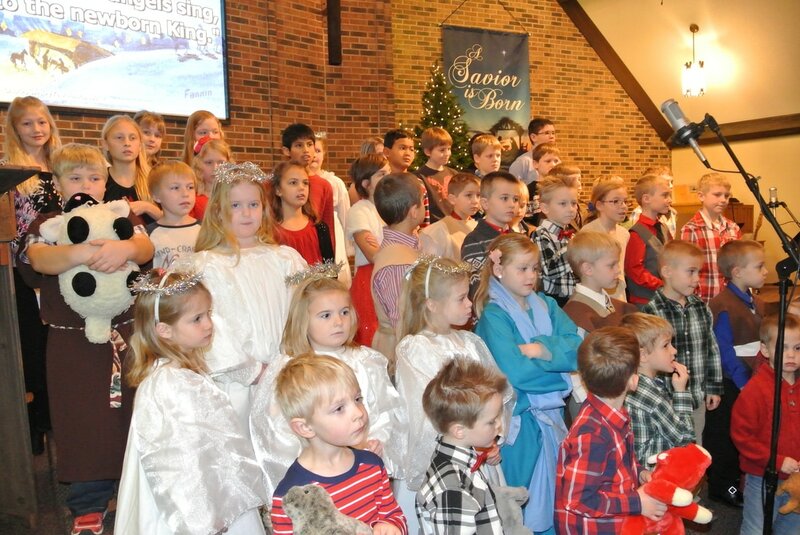 The babies through preschool will stay on site for the evening, while the K-6th graders (Sparks and T&T) will be bused to First Covenant Church in Willmar to enjoy an Awana fun night with Awana clubs from 2 other churches, then back at New London Covenant by 8:30pm. Kids should eat supper BEFORE THEY COME! (Supper is NOT served at church) YOU MUST RSVP by Sunday, March 17th. 3) A GREAT attitude for having fun and playing games! It is time to register for Awana! You can register your child(ren) by clicking the link below (one registration form per child required). Registration forms are also available on the Welcome Desk. There is a $30 registration fee for each child (Cubbies, Sparks or T&T) that will be due on the first night of attendance. Mark your calendars to join us on Wednesday, September 12th from 6:00-7:30pm for Awana Family Night & Registration. If you cannot attend, please contact Paula Holmen to schedule a time to meet. The first Club night will be held on Wednesday, September 19th from 6:00-7:30pm. ​If you are a young adult, young couple or family with children at home (babies-youth group age) this invitation is for you! Once a month the children’s commission and volunteers are planning/serving a lunch following the morning worship service for you and your family. We will be serving a main dish, fruit/veggie salads (kid-friendly), dessert, and beverages. There is a small cost of $2 adults/ $1 kids to help with the cost of the food. What a great time to linger a bit longer, visit together, and have lunch taken care for the day! Our Wednesday night Awana meeting is a time filled with energy, fellowship and spiritual growth. Each of our children’s clubs has its own unique meeting format, but in general Awana meetings are 1 ½ hrs and feature three main segments: Game Time, Handbook Time and Council Time. Game Time is comprised of exciting circle games exclusive to Awana played in the gym. Council Time is a large-group setting primarily dedicated to Bible teaching and presentation of the gospel. Handbook Time provides small-group interaction, recitation of Scripture that kids learned during the week, friendship building and opportunities for leaders to mentor children and help them understand the Bible verses they memorize. Here's what we do in Awana...we'd love to have you come along! Filled with snacks, games, crafts, supper, movies and friends…who could ask for anything more? Be sure to ride bus #8 to the church after school and have your parent pick you up at 6:00pm. We will gather on Sunday mornings at 9:00am. Our time together will include a lesson time, activities, and small group time. You will be in a group together with kids your age and will have a teacher guiding and leading your small group time! VBS...Vacation Bible School A sure highlight of our summer together!! ​and enjoy time together...whether it is learning more about their faith and relationship with Jesus or just enjoying the fellowship of each other! Please take some time and look closely at the brochure located in the link at the top of the page for some of the other areas of children's ministry at NL Covenant Church. If you have any questions, please feel free to call or email the church for information, details or dates and times of activities and events!